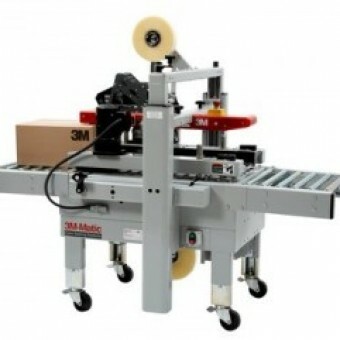 The 3M-Matic 700r is a manually fed random case sealing machine suitable to seal a wide range of case sizes up to 546 x 622mm, it is quick & easy for any operator to set up & run. 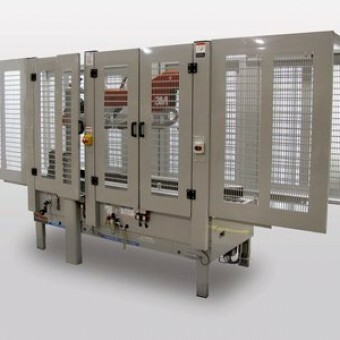 Top & Bottom drive belts are utilized so both heavy and light cases are sealed without the cases stalling over the taping heads. Reliable and low maintenance 3M Accuglide 2+ Top & Bottom low impact taping heads are used for 50mm wide self-adhesive tape to apply a perfect seal time after time. 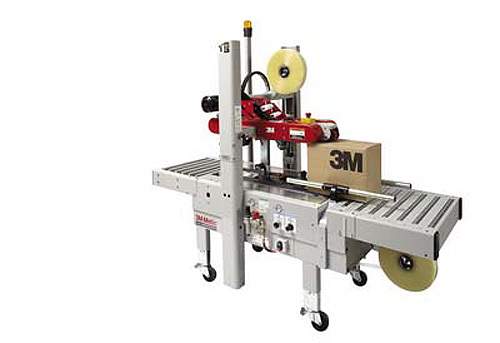 The 3M-Matic 700r is a manually fed random case sealing machine suitable to seal a wide range of case sizes up to 546 x 622mm, it is quick & easy for any operator to set up & run. Top & Bottom drive belts are utilized so both heavy and light cases are sealed without the cases stalling over the taping heads. 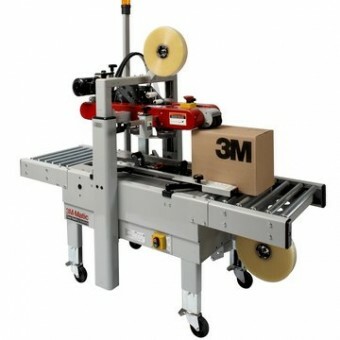 Reliable and low maintenance 3M Accuglide 2+ Top & Bottom low impact taping heads are used for 50mm wide self-adhesive tape to apply a perfect seal time after time.